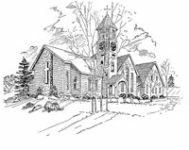 Memorial Congregational Church of Sudbury, MA – No matter who you are or where you are on lifes journey, you are welcome here! Our faith is 2,000 years old, our thinking is not. ..and the service of humanity. Finding opportunities to share God's love. We affirm each person as a child of God and we invite everyone, regardless of race, ethnicity, gender identity and expression, sexual orientation, age, ability or financial situation, to walk with us in a faith journey responsive to God’s call. When you enter MCC you will find a warm greeting without any pressure. Our members and friends span generations and lifestyles. Come as you are: wearing jeans or suits; comfortable in your faith or full of questions.